This tutorial in the Studio*Master series provides insights and detailed step-by-step instructions for each task that you must perform to prepare models within Daz Studio for geo-grafting. What is geo-grafting? It is the process of 'appending' additional mesh models like horns or tails to existing mesh models like Genesis, Genisis 2 Female or Male, and Genesis 3 Female or Male figures. Check out the overview below to see how this PDF tutorial is constructed. 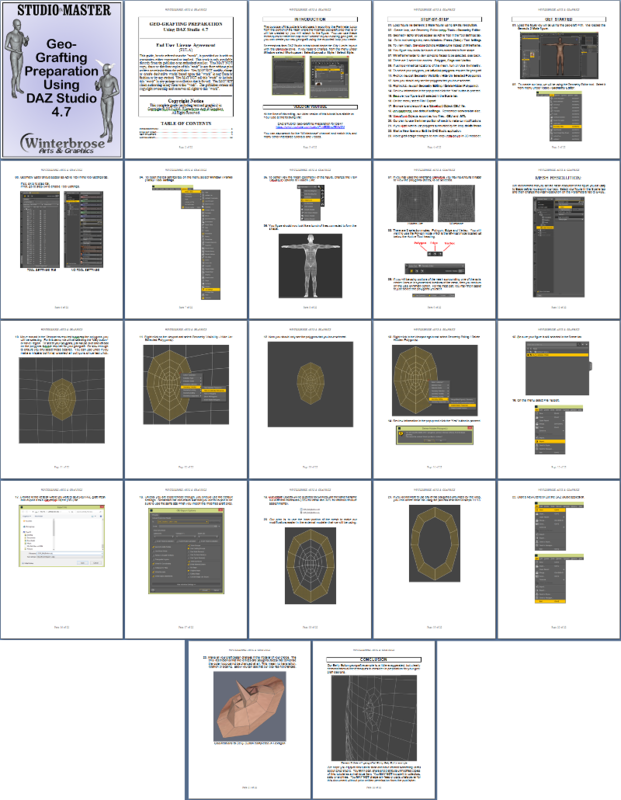 By purchasing a copy of the 22-page fully illustrated PDF eBook, you can access this information offline at anytime/anywhere and on any device with a compatible PDF reader/viewer. Your purchase also helps support the artist(s) involved in this project. or by using the embedded version found here.